Chez Pierre was one of my parents’ favorite restaurants. It is also one of mine. 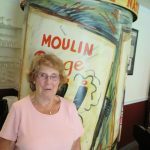 So I grew up knowing the post-World War II tale of how American soldier Joe Baldwin, from Glens Falls, met and married a young French woman, Pierrette, when he was stationed in France, how they moved here and opened Chez Pierre. 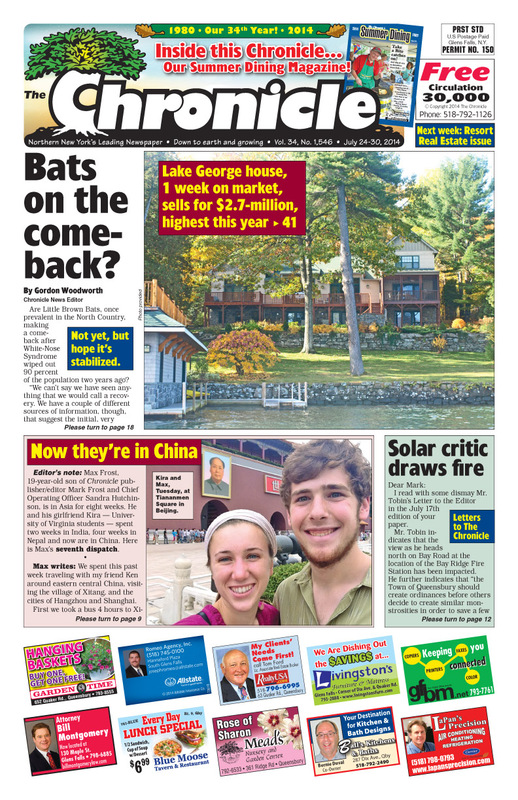 Lake George real estate is hot! Mayor Bob Blais seeks another term in Lake George Village. Max Frost reports from China. Jimmer’s one year deal in New Orleans. 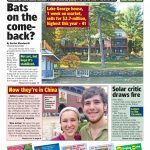 Where are all the little brown bats? Huge calendar section highlights the many summer events and concerts happening throughout the north country. Inside the Chronicle this week is our 2014 Summer Dining magazine! Five to 10 times each summer timber rattlesnakes are found around campsites in The Narrows area of Lake George. This year, by the end of June, there were four such incidents, says research biologist/herpetologist Dr. Bill Brown. 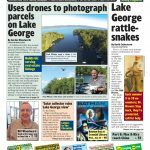 Drones over Lake George! The passing of Bill Woodward. 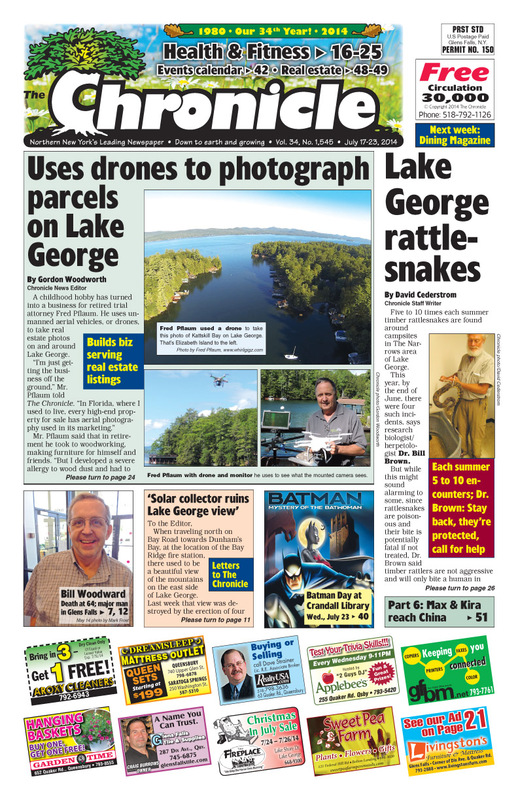 Rattlesnake sightings in and around Lake George. Saratoga Race Track opens up Friday, July 18th. Hillary Clinton comes to Northshire Books in Saratoga. Flames hockey news and so much more in 52 big pages this week! The Nuns at New Skete in Cambridge are partnering with Oscar’s Smokehouse in Warrensburg to produce bacon-chocolate cheesecake.